Combine gelatins in a bowl and add boiling water; stir until gelatins completely dissolve. Chill until lukewarm, about 20 min. Lay worms on waxed paper-lined baking sheets. Cover and chill until ready to use, at least 1 hour or up to 2 days. 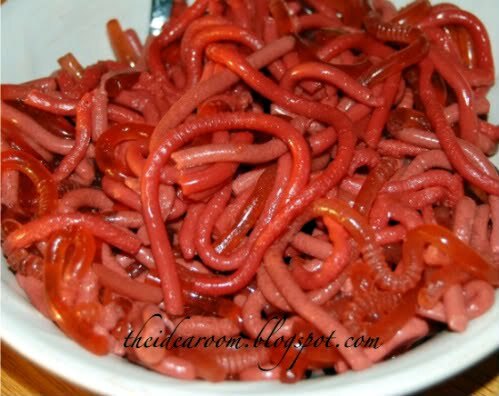 Worms will hold at room temperature for about 2 hours.